Drinking alkaline water can increase energy, keep you hydrated longer and help fight disease. Alkaline Water Machines have been getting a lot of press lately. You hear everything from alkaline water can cure cancer to help you lose weight. But can any of these claims really be true? What are alkaline water machines anyway? You will also see a huge variation in prices, anywhere from $100 to $2100. Why is there such a huge difference in price ranges? What is the difference between the different types of machines? How much do you need to invest in order to get the benefits? 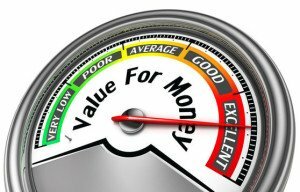 Which is the best value for the money? First, we will check out the main features in our comparison chart so you can see how the top-selling alkaline water machines stack up against each other. 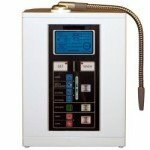 Then we will answer some of the top questions most people have when shopping for an alkaline water machine. Need more information on alkaline water? Read more on the benefits and facts here. The first three in our comparison table are countertop alkaline water machines. Since the under the counter models can be $2000 more, we also included one as a reference point. manufacturers will help you evaluate the features between the two classes of machines. Save today on selected alkaline water ionizers & machines. Now that you have a good idea of the features, we’ll cover the frequently asked questions. What Exactly Are Alkaline Water Machines? Very simply, an alkaline water machine transforms regular tap water to the optimal Ph level for our bodies. Ph actually stands for potential of hydrogen. Higher Ph liquid has fewer free hydrogen ions. The PH values range from 0 to 14, with 7 being neutral. Anything lower than 7 is acidic, anything higher is alkaline. To give you a frame of reference, milk has a Ph of 7.0 whereas most sodas or juices have Ph of about 3. Alkaline water machines typically attach to your faucet which is very convenient. These machines will filter and alter the Ph balance of your tap water. The filter is typically an activated carbon filter which will remove impurities and pollutants from the water. The Ph balance is changed by running the water through a process called electrolysis. This process splits the hydrogen ions and minerals in the water. The machine will produce the transformed water in 2 water streams – alkaline water for drinking and oxidized water which can be used for cleaning. Watch this simple video to get an understanding on how electrolysis works. Why Are There Such Big Variations in Price? There are 3 main types of alkaline water machines which are in vastly different price ranges. There are also important optional features which will affect the price in a big way. 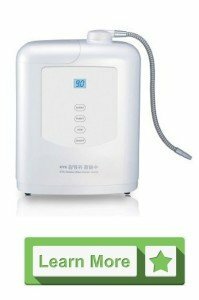 The first reason for the big differences in price is there are different types of alkaline water machines. We will review the cost and major features of each type. 1. Alkaline Water Ionizers or Alkaline Water Machines. Additional price fluctuations are seen based on the number of plates and materials used in the water ionizer. A higher number of plates will normally equate to a higher price tag. A reverse osmosis system is very different from the water ionizers. A reverse osmosis system runs the water through several very fine filters. Each filter has a purpose. One will remove trace minerals, contaminants, and sediment. Another will add back calcium and magnesium minerals. The end result is slightly alkaline water free of impurities. 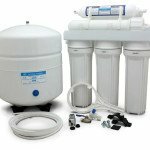 Reverse Osmosis Home Systems have a much lower price tag average about $200-400. You can view our comparison table of the most popular reverse osmosis home systems here. 3. Alkaline Water Filter Pitchers. 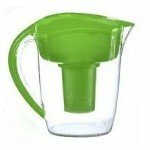 An alkaline water pitcher is basic water filter that also has the ability to alkalize your drinking water. Two big differences for these types of water filters are they do not hook up to your sink or have adjustable ORP or PH levels of the water. On the plus side, they do a good job of removing impurities from your drinking water. They are also a good portable choice. For example, if you are traveling, they are easy to pack up and bring with you. The downside is you have to keep filing them up. The water holding capacity of alkaline water filter pitchers is anywhere from 10 cups to 4 gallons depending on your price point. The prices for a basic alkaline water pitcher type filter range from about $30 to $130. For more information and a comparison chart of the top selling models, read our article on Alkaline Water Filter Pitchers. Increasing the Ph of our drinking water has been said to have many health benefits. Here are just a few of the ways it can help. Power Source of Antioxidants: Drinking alkaline or ionized water can help to neutralize free radicals in your body that can cause diseases to flourish. 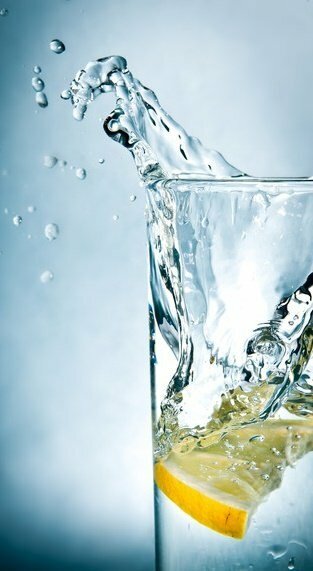 Relieve Acid Reflux: Some doctors prescribe drinking water with a higher alkaline level to treat reflux disease. Read more about the Top 10 Alkaline Water Benefits to discover how it can help you in your journey for better health. Which Alkaline Water Machine Is The Best Value For The Money? Based on a combination of factors, we believe the Aqua-Ionizer Deluxe 7 Plate Alkaline Water Ionizer is the best buy. We reviewed the cost, features and overall customer feedback of the top 5 alkaline water machines in the mid-range market. 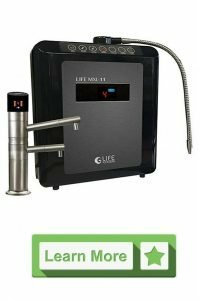 The Aqua-Ionizer by Air Life was the clear choice as the best value. Not only was the system reasonably priced, and had very competitive features with even the higher priced units, but the company’s customer service is excellent. When you are making an investment like buying an alkaline water ionizer, you want to be sure you can rely on the company. It’s very reassuring to know if you do happen to have any questions or experience problems, help is just a phone call away. What are customers saying about the Aqua-Ionizer Deluxe 7 Plate model? A great value for the price. This product has received many great comments on the price of unit as compared to others on the market. They feel they have received a good value. Excellent customer service. Almost everyone agrees that the customer service is outstanding. Even when small issues come up they were handled promptly by very helpful staff. A quality product. 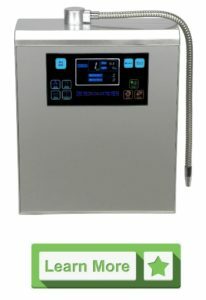 After using the aqua-ionizer for months, customers are happy with their purchase, so it holds up to the test of time. Easy to Install. Installation is reported to be very easy and can be completed in a short amount of time. Ph levels are good. Many folks have tested the water produced by the Aqua-Ionizer Deluxe, and it has consistently been shown to produce alkaline water which is of course one of the most important things to know before you purchase. This machine does what they say it does. 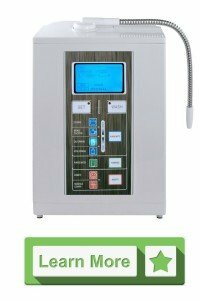 Our favorite model is the Aqua-Ionizer Deluxe since it met our requirements for providing good quality alkaline water as well as being reasonably priced. We also like the fact that there is an under counter kit available, so you can free up that valuable counter space. Click here to get more information or buy the Aqua-Ionizer Deluxe 7 Plate Alkaline Water Ionizer directly from Amazon. However, there are still several other good models on the market today. Our second favorite model is the Bawell Platinum Alkaline Water Ionizer Machine. Bawell is an incredibly respected brand in the field of water filters. This model is a little pricier, but if you have the budget, it’s a great unit with some expanded features. The Bawell Platinum 2195 has an expanded Ph range with 8 pre-programmed levels, a long-lasting SMPS power system, a 2 stage internal filter system and even has a voice reminder right from the control panel. Imagine a water filter that talks to you – now that’s impressive! Are you ready to start experiencing better health with an alkaline water machine?